When the Navy's unmanned and autonomous X-47B aircraft touched down on the carrier deck of the aircraft carrier George H.W. Bush Wednesday, it marked a defining moment for aviation and the end of a development program some 10 years in the making. With its place in history secure -- the X-47B is the first unmanned aircraft to make an arrested landing aboard an aircraft carrier, and that's only the latest of it's many "firsts" -- the experimental aircraft is slated for retirement, having met all of its program requirements and captivated Twitter for at least one afternoon. Though Chief of Naval Operations Adm. Jonathan Greenert indicated yesterday that the Navy may keep the drones active and out of museum hangars for a short while longer, yesterday's flights will likely be among the X-47B's last. But for naval aviation and drone technology in general, the end of the X-47B program is just the beginning. The X-47B Unmanned Combat Air Vehicle (UCAS) that made aviation history Wednesday was one of just two built by Northrop Grumman for the Navy to demonstrate technologies that are pulling naval operations -- many of which were developed in the first half of the last century--into the digital age. These technologies include precision GPS and relative navigation systems that will become commonplace in future naval air wings (both manned and unmanned) as well as various technologies and strategies that will allow unmanned planes to work safely alongside their human-piloted counterparts. Navy brass call this "digitizing the carrier airspace," and it represents a full-blown paradigm shift for the Navy as it begins the process of integrating unmanned aircraft -- including armed strike aircraft -- into its carrier-capable fleet. It also marks the beginning of the race for what's next. What's been lost amid the cheering for the X-47B is that the UCAS program was really less about the aircraft and more about the platform. With the platform in place, now begins the challenge of building the actual product. Such a drone would offer U.S. Naval forces a unique capability to deliver strikes in hostile airspace without putting pilots at risk and at ranges far exceeding that of manned fighter jets. This also serves the dual purpose of allowing the Navy's prized aircraft carriers to remain farther away from increasingly potent anti-ship threats like land-based medium range ballistic missiles (that's a thinly veiled euphemism for China). The X-47B, in many ways, is that aircraft. 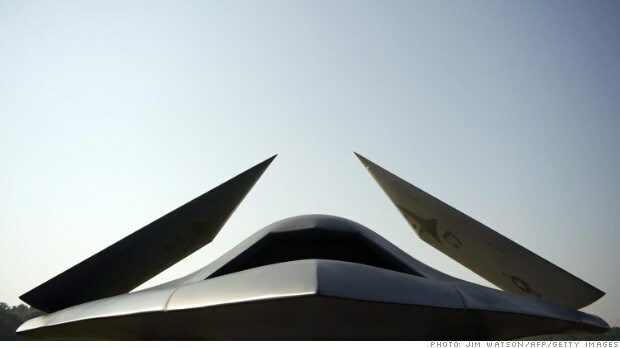 Its sleek, tailless, "cranked-kite" batwing design offers it a reduced radar signature, and though its lack of a tail makes it less stable, the fact that it pilots itself via computer means it can make thousands of small corrections per minute to compensate. Human operators control the X-47B by telling it where to go and what to do, but the aircraft handles the actual piloting itself -- there is no aviator remotely controlling it with a joystick -- making it immune to such vulnerabilities as low visibility or good old-fashioned human error. Wednesday's landing of the first robotic airplane on an aircraft carrier is so significant, and that's why this is really a beginning rather than an end. UCAS was a technology demonstration program. Its follow-on program -- the Unmanned Carrier Launched Airborne Surveillance and Strike program, or UCLASS -- is where the aviation skunk works of some of the biggest names in aerospace are going to take this new platform and try to build a game-changing product for it -- an actual carrier-capable combat drone for active service in the U.S. Navy. THE TEJAS IS THE SECOND SUPERSONIC FIGHTER DEVELOPED INDIGENOUSLY BY HINDUSTAN AERONAUTICS LIMITED AFTER THE HAL MARUT. # In 1984 established the Aeronautical Development Agency (ADA) to manage the LCA programme.Although the Tejas is most often described as a product of Hindustan Aeronautics Limited (HAL), responsibility for the development of the Tejas actually belongs to ADA, a national consortium of over 100 defence laboratories, industrial organisations, and academic institutions with HAL being the principal contractor. # HAL serves as the prime contractor and has leading responsibility for LCA design, systems integration, airframe manufacturing, aircraft final assembly, flight testing, and service support. The ADA itself has primary responsibility for the design and development of the LCA's avionics suite and its integration with the flight controls, environmental controls, aircraft utilities systems management, stores management system, etc. # The ambitiousness of the LCA programme in terms of pursuing self-reliance in aviation technologies is illustrated by the fact that out of a total of 35 major avionics components and line-replaceable units (LRUs), only three involve foreign systems. These are the multi-function displays (MFDs) by Sextant (France) and Elbit (Israel), the helmet-mounted display and sight (HMDS) cueing system by Elbit, and the laser pod supplied by Rafael (Israel). However, even among these three, when the LCA reaches the production stage, the MFDs are expected to be supplied by Indian companies. The HAL LCA TEJAS is lightweight multirole aircraft designed and developed by Hindustan Aeronautical limited. LCA was officially named “ Tejas ", meaning "Radiance" by then Prime Minister Atal Bihari Vajpayee. Tejas is a single engined, light weight, highly agile, multi-role supersonic fighter. It has quadruplex digital fly-by-wire Flight Control System (FCS) with associated advanced flight control laws. The aircraft with delta wing is designed for ‘air combat’ and ‘offensive air support’ with ‘reconnaissance’ and ‘anti-ship’ as its secondary roles. The Tejas is single-engined multirole fighter and is designed with "relaxed static stability" for enhanced manoeuvrability. Originally intended to serve as an air superiority aircraft with a secondary "dumb bomb" ground-attack role, the flexibility of this design approach has permitted a variety of guided air-to-surface and anti-shipping weapons to be integrated for more well-rounded multirole and multimission capabilities. Composites are used to make an aircraft both lighter and stronger at the same time compared to an all-metal design, and the LCA's percentage employment of C-FCs is one of the highest among contemporary aircraft of its class. 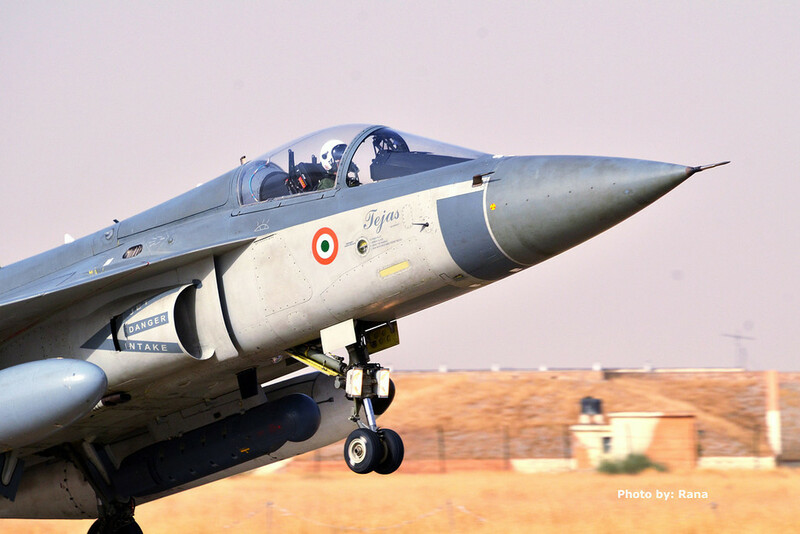 The Tejas employs CFC* materials for up to 45% of its airframe, including in the fuselage (doors and skins), wings (skin, spars and ribs), elevons, tailfin, rudder, air brakes and landing gear doors. 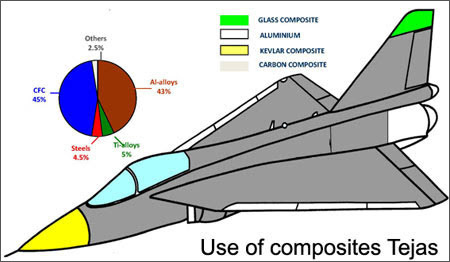 The use of composites in the LCA resulted in a 40% reduction in the total number of parts compared to using a metallic frame. Furthermore, the number of fasteners has been reduced by half in the composite structure from the 10,000 that would have been required in a metallic frame design. The composite design also helped to avoid about 2,000 holes being drilled into the airframe. Overall, the aircraft's weight is lowered by 21%. While each of these factors can reduce production costs, an additional benefit — and significant cost savings — is realised in the shorter time required to assemble the aircraft — seven months for the LCA as opposed to 11 months using an all-metal airframe. The airframe of the naval variant of the Tejas will be modified with a nose droop to provide improved view during landing approach, and wing leading edge vortex controllers (LEVCON) to increase lift during approach. The LEVCONs are control surfaces that extend from the wing-root leading edge and thus afford better low-speed handling for the LCA. 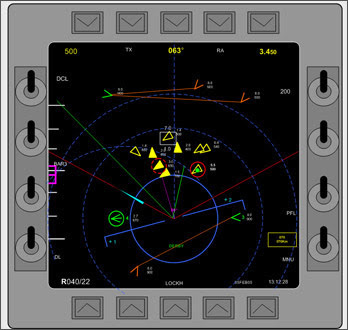 Human Machine Interface (HMI).The advanced utility and health management system provides system health and warnings to the pilot through a Open Architecture Computer (OAC). 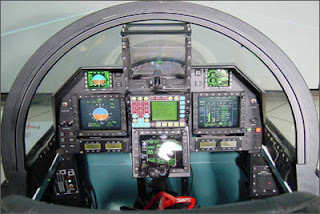 · The Tejas has a night vision goggles (NVG)-compatible "glass cockpit". · IT HAS three 5 in x 5 in multi-function displays, two Smart Standby Display Units (SSDU), and a "get-you-home" panel providing the pilot with essential flight information in case of an emergency. · The aircraft also features a ground proximity warning system based on the Terrain Referenced Navigation (TRN) system. · Protection is provided by Chaff, Jaff and Flares, Electronic Counter Measures (ECM) and a Towed Radar Decoy (TRD). facilitates all weather employment of a variety of Air to Air and Air to Surface Weaponry, and is the primary targeting sensor on the Tejas. The Tejas has integral internal fuel tanks to carry 3,000 kg of fuel in the fuselage and wing, and a fixed inflight refuelling probe on the starboard side of the forward fuselage. # The IAF's Air Staff Requirement for the LCA were not finalized until October 1985. The LCA design was finalized in 1990 as a small tail-less delta winged machine with relaxed static stability (RSS) to enhance maneuverability performance. # The IAF expressed doubt that India possessed sufficient technological infrastructure to support such an ambitious project.] A governmental review committee was formed in May 1989 which reported out a general view that Indian infrastructure, facilities and technology had advanced sufficiently in most areas to undertake the project. # THE TEJAS PROGRAMME WAS SPLITED IN THOW PHASES. PHASE 1 WOULD FOCUS ON "PROOF OF CONCEPT" AND WOULD COMPRISE THE DESIGN, DEVELOPMENT AND TESTING (DDT) OF TWO TECHNOLOGY DEMONSTRATOR AIRCRAFT. PHASE 2 WOULD CONSIST OF THE MANUFACTURING OF THREE MORE PROTOTYPE VEHICLES. # Phase 1 commenced in 1990 and HAL started work on the technology demonstrators in mid-1991; however, a financial crunch resulted in full-scale funding not being authorized until April 1993, with significant work on FSED Phase 1 commencing in June. The first technology demonstrator, TD-1, was rolled out on 17 November 1995 and was followed by TD-2 in 1998, but they were kept grounded for several years due to structural concerns and trouble with the development of the flight control system. # Development of a FBW flight control system requires extensive knowledge of flight control laws and the expensive writing of a considerable amount of software code for the flight control computers, as well as its integration with the avionics and other electronic systems. When the LCA programme was launched, FBW was a state-of-the-art technology and such a sensitive one that India could find no nation willing to export it. Therefore, in 1992 the LCA National Control Law (CLAW) team was set up by the National Aeronautics Laboratory to develop India's own version. The CLAW team's scientists and mathematicians were successful in developing their control laws, but could not test them since India did not possess advanced real-time ground simulators at that time. Accordingly, British Aerospace (BAe) and Lockheed Martin were brought in to help in 1993, but the effort required for the Aeronautical Development Establishment to code the control laws into the FCS software proved a much larger job than originally anticipated. # Another critical technology area tackled for indigenous development by the ADA team is the Multi-Mode Radar (MMR). It was initially planned for the LCA to use the Ericsson Microwave Systems multi-function radar, which was developed by Ericsson and Ferranti Defence Systems However, after examining other radars in the early 1990s, the DRDO became confident that indigenous development was possible. HAL's Hyderabad division and the LRDE were selected to jointly lead the MMR program and the radar development effort began in 1997. # In November 2010, it was reported that the Tejas Mk1 reportedly fell short of the relaxed Air Staff Requirements stipulated for limited series production (LSP) aircraft. The areas that did not meet requirements were power to weight ratio, sustained turning rate, maximum speeds at low altitudes, AoA range, and weapon delivery profiles. The extent of the deficiencies was classified. # The Tejas was grounded for over three months because of the new pilot’s helmets extended above the ejection seats. The helmets could have prevented a smooth ejection by hitting the canopy before it was blown off. This represented a serious safety issue and flight testing was stopped in August 2012. The ejection systems have been modified to rectify this issue. Flight tests resumed in November with seven successfully completed.